Create a toy spinner 3d printer and incorporate the rotating part. At that time, spinners were in vogue, and I tried to make my own without being fit for my grandchildren. Even now, it's pleasant, and it's turning around as it was at the time of production. This review is about item#329296. I got handling lightly and turned around very smoothly. This review is about item#351276. To adjust the balance of the bicycle wheel, we made jigs with this bearing and a 5 mm aluminum round bar. Because it is an open type, it can degrease grease and drop appropriate rub. The above prescription is because the low load sensitivity increases and the wheel balance becomes easy to check. After the work is finished it is rust protected with suitable all-purpose oil and kept. This review is about item#329445. I used it as a roller stand and a holding tool to find a direction in which the carbon pipe easily bends. Although it is a carbon pipe partner of φ 5 ~ 6 mm, it was sealless and resistance was small enough to use it. This review is about item#350201. Goods were also good items immediately arriving at other items and purchasing with the maintenance of the motorcycle. This review is about item#329341. It is used as a replacement for equipment trouble, and goods receipt is also saved quickly. This review is about item#329497. I degreased and used it, but it was rough and the surrounding was not good. It can not be helped though because it is a method of use outside the assumption of the manufacturer. This review is about item#00329743. I am trusting that the company I am making is top notch. Also repeat. The hand spinner that the customer's child (+ Child) had had used bearings that were so severe so I exchanged it for service. It is completely out of work, but I was very pleased, and I got a job of maintenance so let's do so (laugh) Quality is no problem, and above all else, delivery is earlier than squeezing parts supplier (out of stock) and I am saved. This review is about item#00329341. 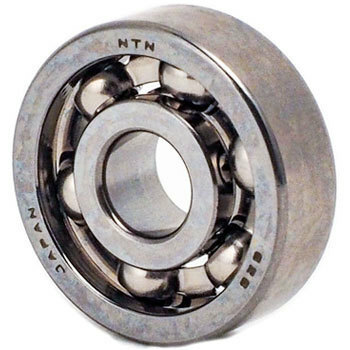 Exchange one of the same two hand spinners for this NTN bearing. I compared the students with the original (perhaps the product of China etc). Compared to the original product which has a rough sense of rotation, it is manufactured by NTN which rotates more smoothly than "it does not become comparable". I was able to realize the difference in technology between Japan and other countries. However, as for the hand spinner, which one is the right answer, there are many students that "I do not feel like turning" to be very smooth, and one student raised a voice like "Prius".